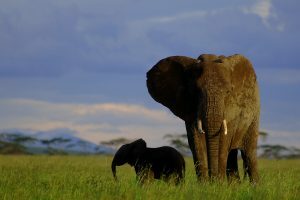 Arusha National park is relatively small only covering 52.9 square miles (137 sq.km) but varied with spectacular landscapes in three distinct areas and in the west, there lies the peak of Mount Meru the second highest peak after Kilimanjaro on its rim with the Meru crater funnels, the Jekukumia River, in the southeast there is grassland in the Ngurdoto crater and the shallow alkaline Momella lakes in the northeast having the varying algal colours known for their wading birds. 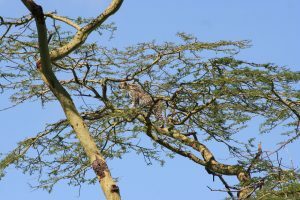 The park is located in the northern Tanzania and northeast of the Arusha town and it covers Mount Meru, a prominent volcano with an elevation of 4566 meters.According to the European guide book, the park’s history started in 1876 when the Hungarian Count Teleki visited the Momella area. 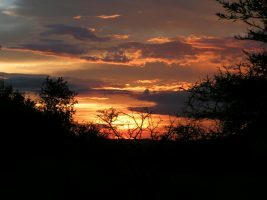 Count Teleki commented on the vast number of black rhinos and hippopotamus he had seen, but sadly the latter are now no longer found in the park. In the year of 1907, the family of Trappe moved to Momella to carry out farming using large areas of the present park as a cattle ranch. 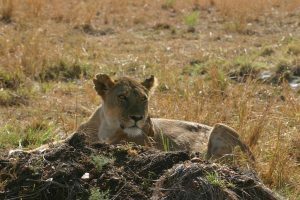 The first woman to become a professional hunter in the whole of East Africa called the Elder Mrs. Trappe who voluntarily set aside a large part of the Momella estate for a game sanctuary. The farm was incorporated into the park after the park being established in 1960. 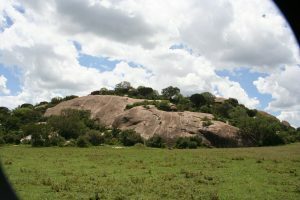 In the same year of 1960 the Ngurdoto crater National park was established. The Mount Meru area also became part of the park in the year 1967. 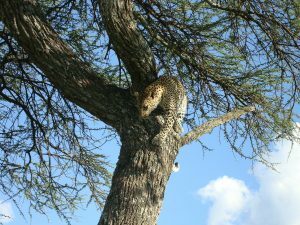 The name of the park Arusha was derived from the local Waarusha people who used to live in the area. 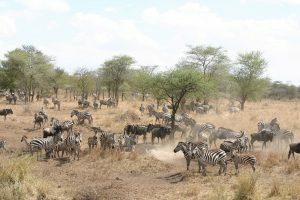 With a rich variety of wildlife, Arusha National park is a home to the world’s largest population of giraffes and despite the small size of the park the other common animals include cape buffalo, warthog, zebra, the black and white colobus monkey, the blue monkey, flamingo, lion, elephant and many others. 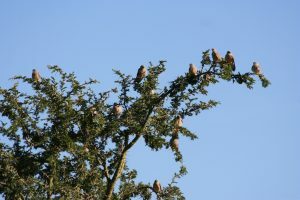 Also, the birdlife in the forest is prolific having many forest species over 400 bird species which are more easily seen here than elsewhere on the tourist route. The Narina trogon and the bar-tailed trogon are both possible highlights for visiting birders. While the range of starling species provide somewhat less gaudy interest. 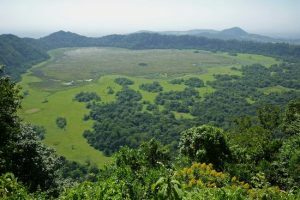 Ngurdoto Crater floor is a lush swamp and a steep sided bowl surrounded by riverine forest. The crater stretches 3 kilometers and is located in the Arusha National park and the crater with its many visible animal trials provides a natural sanctuary to many African animals, including the African buffalo, elephant, a variety of monkeys and baboons as well as birds like hamerkop, herons and spur-winged geese, in the western side of the crater lies Serengeti Ndogo (Little Serengeti) consisting of an extensive grassland plain one of the few places in the game reserve where zebra can be encountered, though it is unfortunately prohibited to descend down to the bottom of the crater. Mount Meru has the second highest peak in East Africa and the fifth highest mountain in Africa which forms part of the Arusha National park. 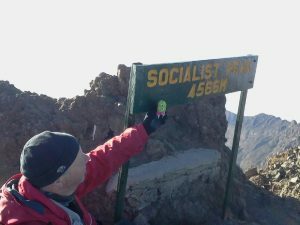 The mountain is one of the most rewarding climbs with a recommended 4-day climb offering a spectacular scenery and guaranteed wildlife animals encounters on its forested slopes and a stunning asymmetric caldera which is featured by the summit cone complete with an ash cone in the crater. 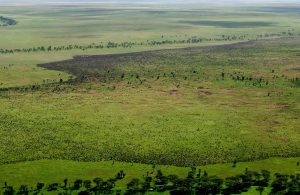 Momela Lakes are shallow alkaline lakes that are made up of seven lakes Momela being the big, small Momela, El kekhotoito, Kusare, Rishateni, Lekandiro and Tulusia all located inside the Arusha National park. These seven lakes are mainly fed by separate underground water sources and each lake supports a different type of algae growth resulting in uniquely different colored lakes due to the varying mineral content of these underground sources. The water of these lakes is not utilized by animals for drinking because the lakes are alkaline though they do attract a wide variety of African bird life and particularly flamingos. 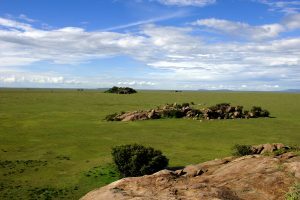 This is a buffalos Glade located approximately 500 meters in the Arusha National park west of Momela gate consisting of streams, bushes and marsh. 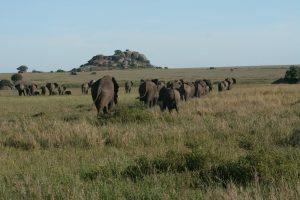 Uwanja Wa Mbogo serves as a feeding ground for warthogs, buffalos and giraffes as well as a walking safari destination. The cave waterfalls are located inside Arusha National park just a short distance on the slopes of mount Meru in Tanzania and the falls are found inside a large greenery filled with trees like the cave that is open on one side and at the top which acts as an attraction to the tourists. This Fig tree also known as “Ficus thonningii” was formed when the seeds of the parasitic tree were dropped by foraging birds in the fork of a host tree whose roots have grown to take shape of an arch and large enough for a car which is an elephant size to pass underneath. The germination took place and the tree roots slowly reached the ground thereby strangling its host. 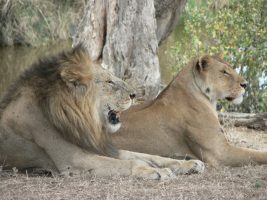 Due to the distinct ecosystems of the park boundaries and beyond, it offers diverse terrestrial, aquatic and fauna viewing opportunities during the game drive and the commonly viewed animals during this activity include the waterbuck, reedbuck near the water sources and the duikers and bushbuck in the dense forest and other animals include the buffalos, elephants, zebras, giraffes, hippos, leopards, hyena among others. 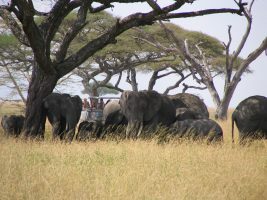 The game drive activity is carried out in the morning or afternoon. Canoeing is a unique activity and way of exploring Arusha National park and it is done along the Momella waters and canoeing is favorite for bird waters giving you stunning views of different bird species such as the lesser and greater flamingos color pinking the lake, little grebe, a muted brown species with a beautiful chestnut red throat and dazzling orange eyes which are commonly seen on the lakes. The other bird species include the white Eared Barbet, Crested Grebe, African crowned Eagles, African Hoopoe Egyptian goose, Black Cuckoo Shrike among others. 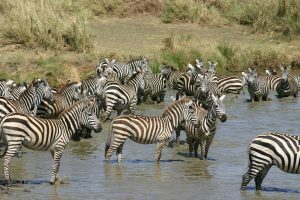 While carrying out this canoeing activity you will also be able to spot buffalo, hippos, bushbuck, waterbuck, giraffe and zebra close to the lake. 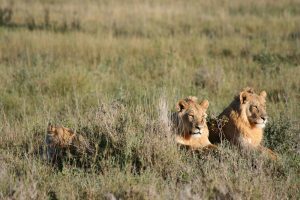 The park is accessed by road from the Arusha city which takes about 60kilometers reaching the National park or it can also be accessed from Moshi which is 58kilometers. The park can also be reached by Air plane from Kilimanjaro International Airport which is only 35kilometers to the national park.